After a busy week I would like to share my latest creation with you. I made this tonight and coloured the Magnolia Tilda image with promarkers. This is a large 8" x 8" Card. Mica powders were used lightly and I have added some gorgeous flourishes and various glitzy pearl and gem embellishments, I used ribbon and layered up paper flowers for added depth. Cute card Traci! Love your swirls and bling! Thanks so much for joining in the Magnolia-licious challenge!! So pretty Traci. Gorgeous details and beautiful colours. 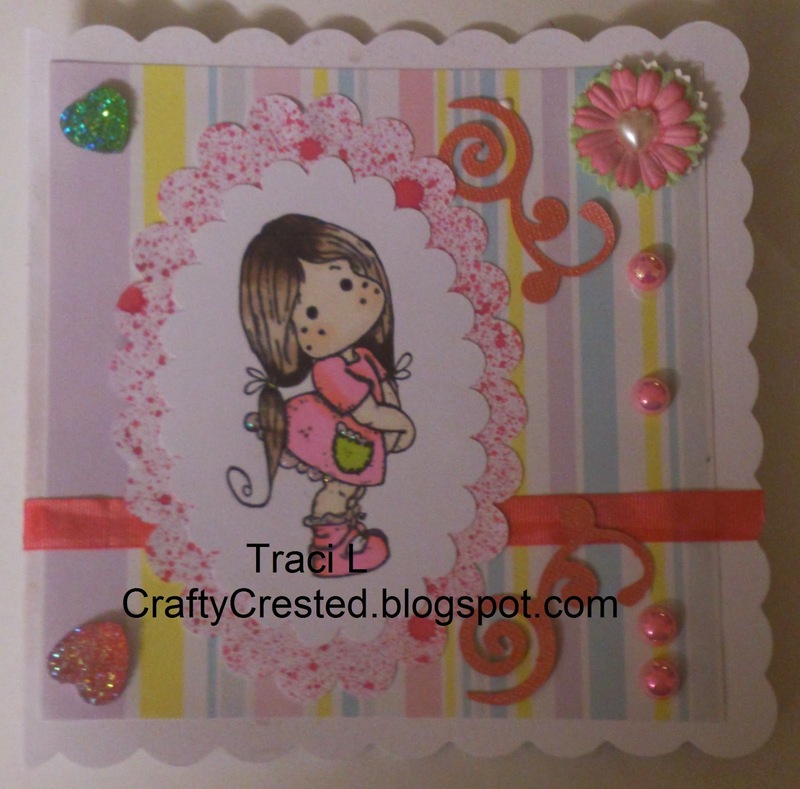 Hi Traci, awwww that is a super cute card! Lovely paper and your swirls / pearls are perfect for our challenge! 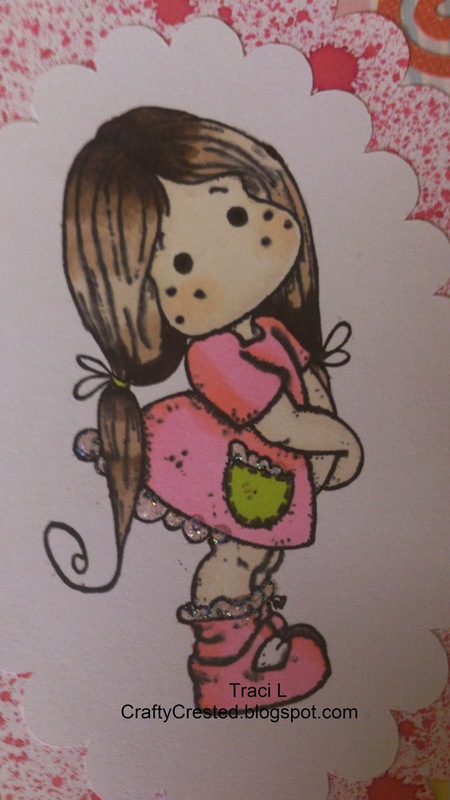 Adorable card Traci, this is such a cute Tilda and I love t hose adorable pearls. Thank you for joining us at Midweek Magnolias. Good luck!